The School Bus: Take your Imagination on a Fieldtrip! 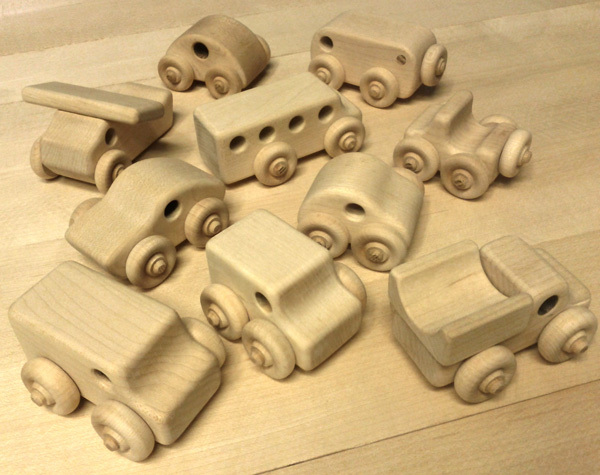 Both the body and the wheels of each vehicle are made from Hard Rock Maple. 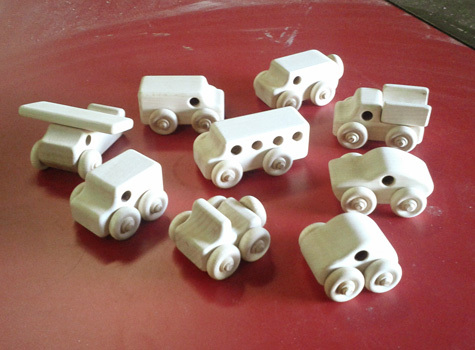 The oak axles are glued in place with Titebond II® wood glue which is FDA approved for indirect food contact (i.e., cutting boards). 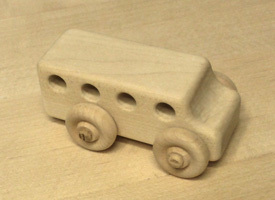 Each wooden toy bus measures about 3 inches long.